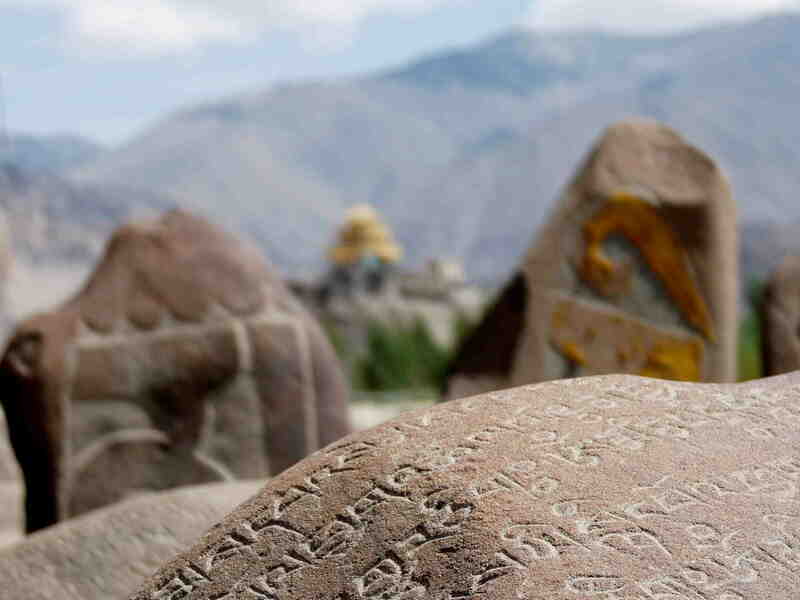 As we sit here in Leh, we have had a little time to start digesting the days since we last wrote something in Keylong. 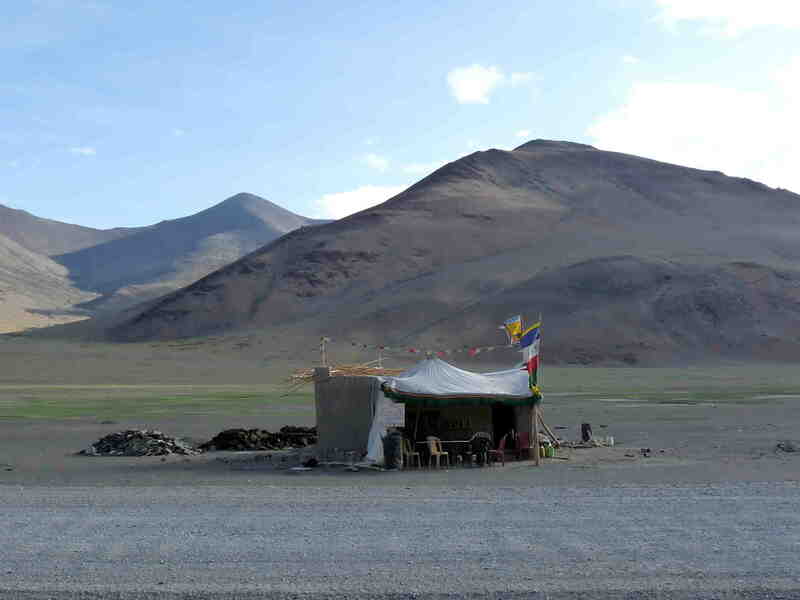 We´re sitting in a little restaurant called “Kitchen Restaurant” on Leh´s famous (or perhaps, infamous) Changspa road. The late-day sun is making everything look as nice as possible, and the temperature has cooled, making us very happy. 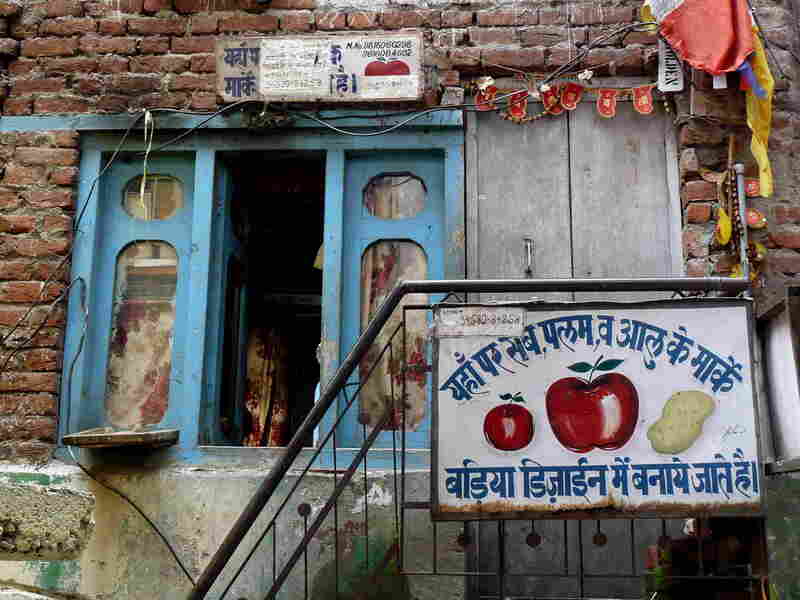 Along the way, a fellow English-speaker asked us what we had learned on the trip. We cannot narrow what we learned down to one thing, but we´ll ruminate on a few things as I think over the last ten days. 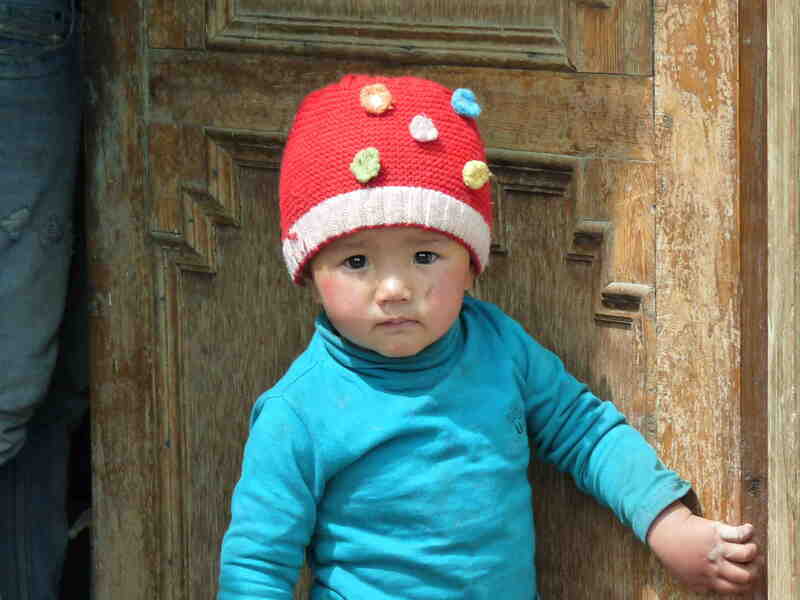 Estamos en Leh, donde nos hemos tomado algo de tiempo para digerir los últimos días desde que escribimos en Keylong. Estamos sentados en un pequeño restaurante llamado “Kitchen Restaurant” en la famosa (o quizás no famosa) calle de Changspa. El sol de última hora del día que todo se vea más bonito y la bajada de temperaturas nos hace feliz. 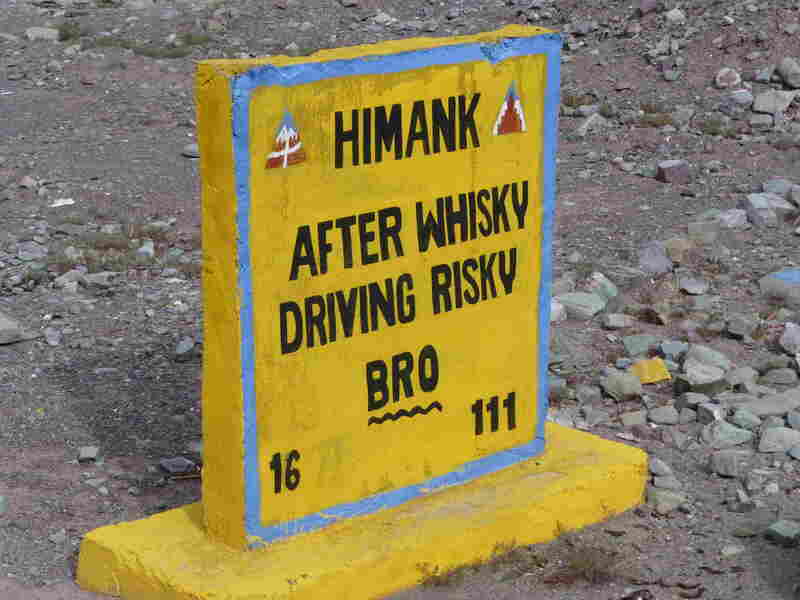 One could say that the Manali-Leh Highway is kind of a misnomer. 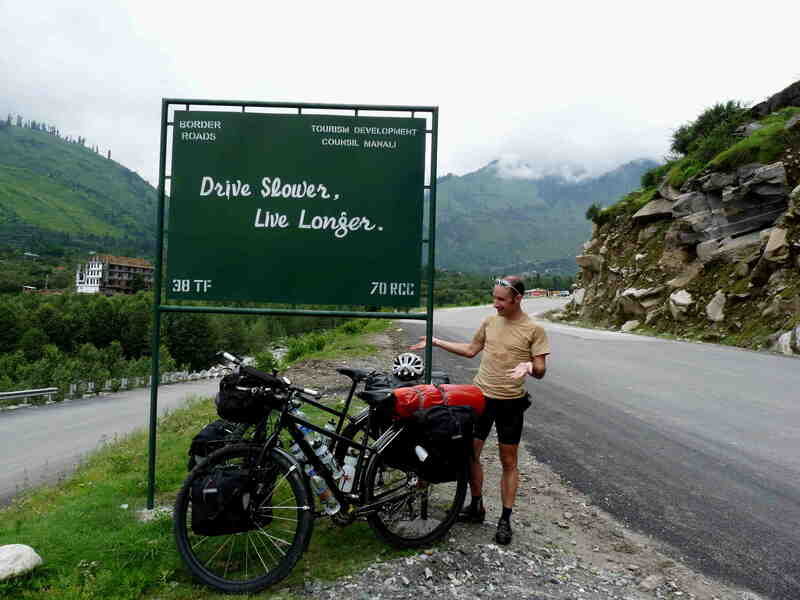 Yes, the road IS the main road between lush Manali at the threshold of the Himalaya and Leh, the dry capital of the eastern part of Kashmir. However, a “highway” it is not. Huge sections of road are simply dirt. Some sections were formerly paved, only to be beaten to a state of broken pavement, rough, jagged rocks and more dust than you want to see, especially during an afternoon windstorm. On the rainy side of the MLH, that means there is usually a huge mud-bog. Of course, when you actually try to ride it, the mud sticks to your bike like clay, while all the while huge cargo trucks beat down on you. On the dry side of the MLH, it means a mega dust storm with each passing vehicle. No wonder the road crews all wear facemasks! It was at times unpleasant, but on this road the unpleasant has the tendency to become humorous in hindsight, the germ of good laugh at one´s own expense. Se podría decir que nombrarla como la “autopista Manali-Leh” resulta confuso. 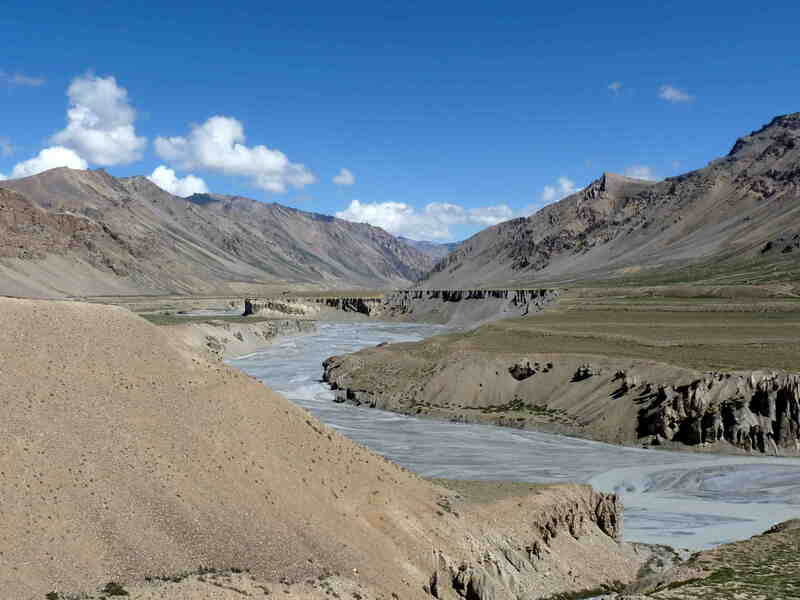 Sí, es la principal vía entre Manali, a las faldas del Himalaya, y Leh, la seca capital de la parte más oriental de Cachemira. Aún así, no se trata de una autopista. Inmensas partes de la carretera son simplemente caminos. Algunos trozos estuvieron en algún momento asfaltadas pero se han convertido en rocas y más polvo del que uno quisiera ver, especialmente en una tarde de tormenta. En la parte lluviosa de la carretera eso implica que se convierta en un campo de barro. Que por supuesto se incrusta en la bici como cemento cuando intentas atravesarla mientras pasan los camiones a tu lado. En el lado seco implica una tormenta de arena cada vez que un vehículo te adelanta. Ahora no nos extraña que toda la gente que trabaja en la carretera lleve máscara! Resultó incómodo algunas veces, pero en esta carretera lo incómodo tiene tendencia a convertirse en el lado humorístico de la historia, el germen de unas buenas risas a tu propia costa. 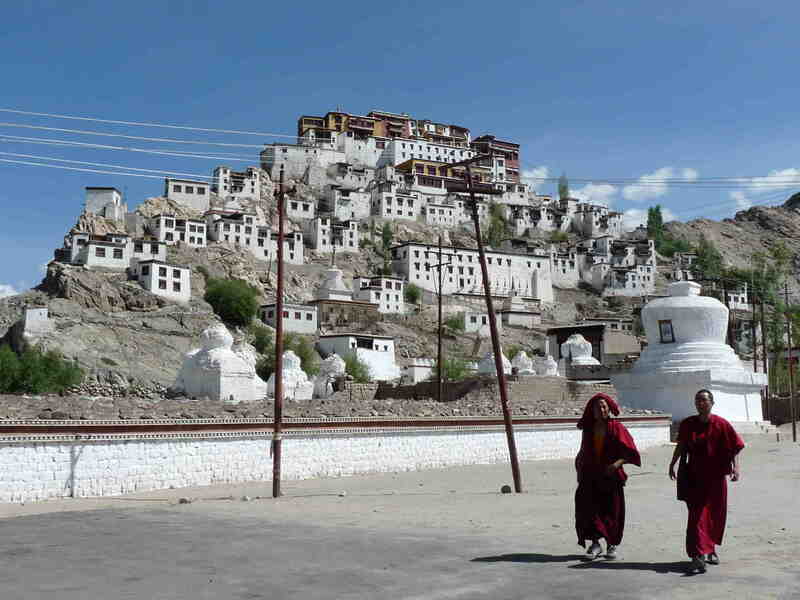 The small city of Leh finds itself between mountains, at the intersection of India, China and Pakistan. It is the capital of the Buddhist state which they themselves call “the state of the stupas.” It´s palace, which echoes the palace of Potala (Lhasa, Tibet), was at one point in history the highest built city in the world (3500meters). 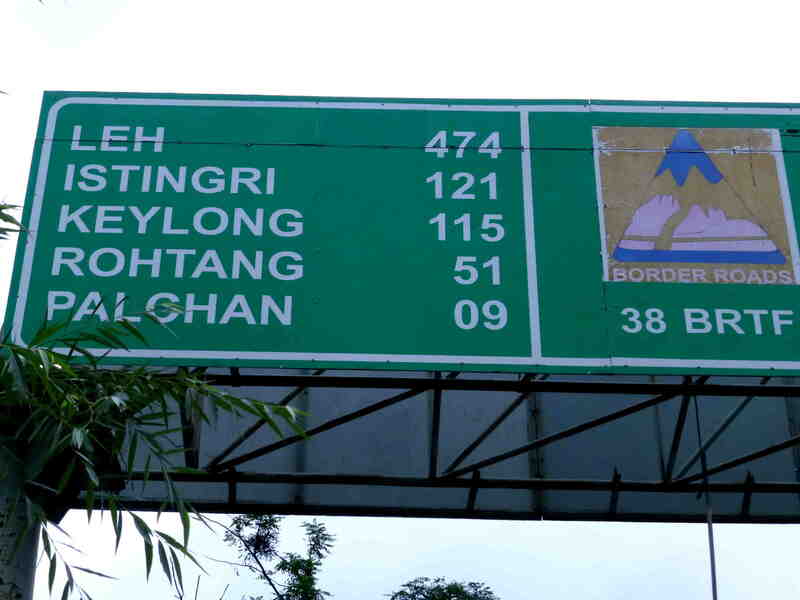 In its day it was a very important crossroads of commerce although the last years of the war with China in the 50´s as well as the conflict with Pakistan have cut the city off from the north and west (its own mountain range also contributes to the city´s relative isolation). 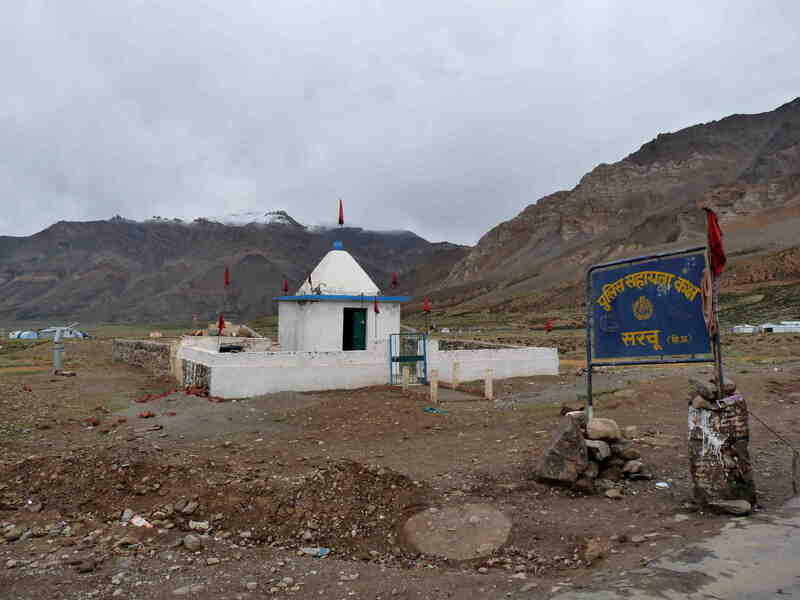 Thus, modern Leh has ceased to be the important commercial city that it once was in and today has regained importance as a tourist hub, becoming the base camp for excursions to the valleys and peaks of the surrounding Himalayas. The main road that links the city to the rest of India heads toward Srinigar, in the northwest of India. 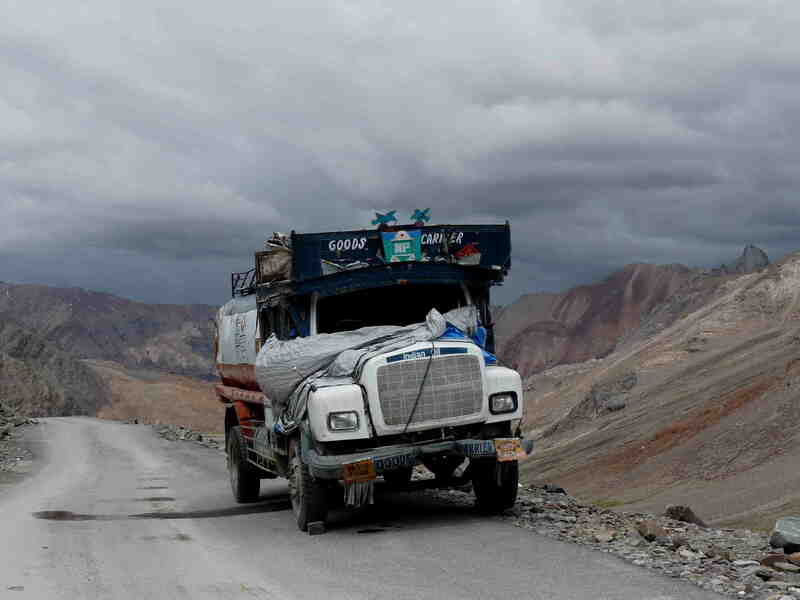 As the situation with Pakistan worsened in the 1970´s, the road became dangerous, prompting the country to built the road towards Manali, providing a Southern link with the rest of the country. 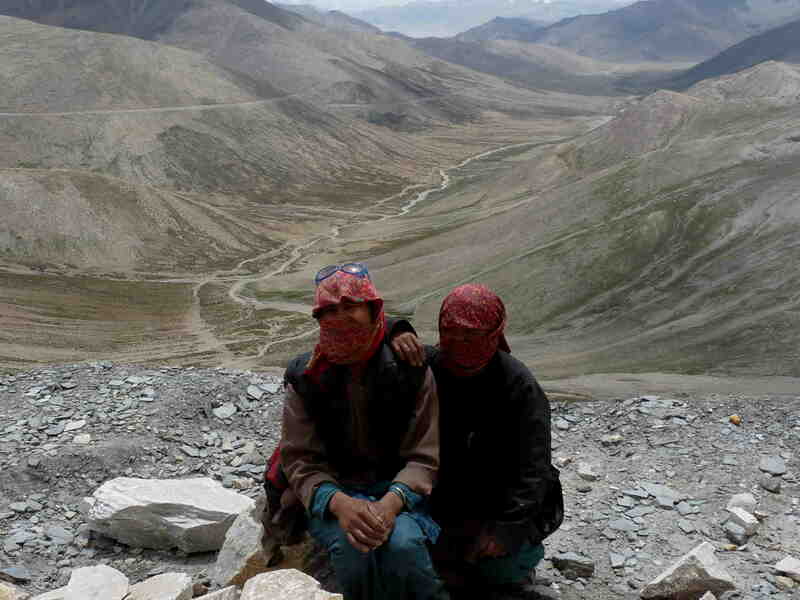 Leh es una ciudad incrustada entre montañas, a caballo entre India, China y Pakistán. Es la capital de un estado budista que ellos mismos definen como “el estado de las estupas”. 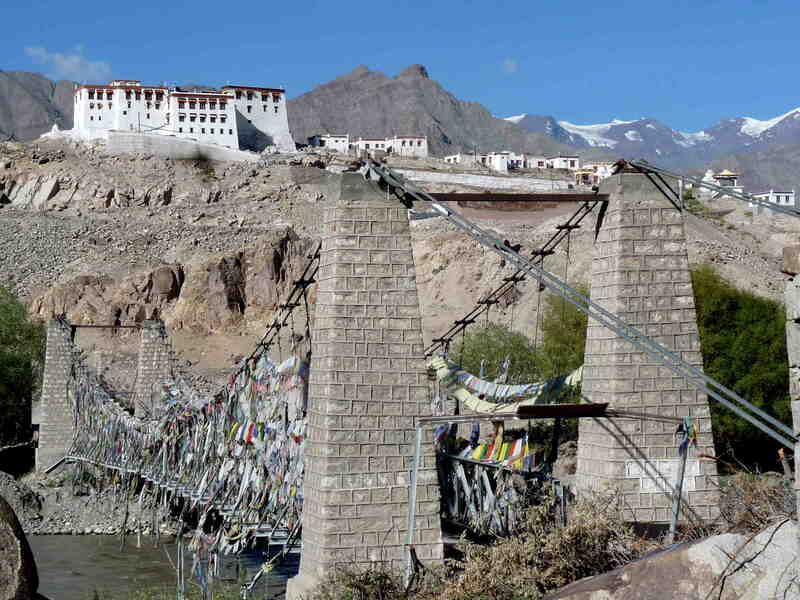 Su palacio de gran parecido al palacio de Potala (Lhasa, Tibet) fue en algún momento de la historia el edificio construido a mayor altura del mundo (3500 mts). 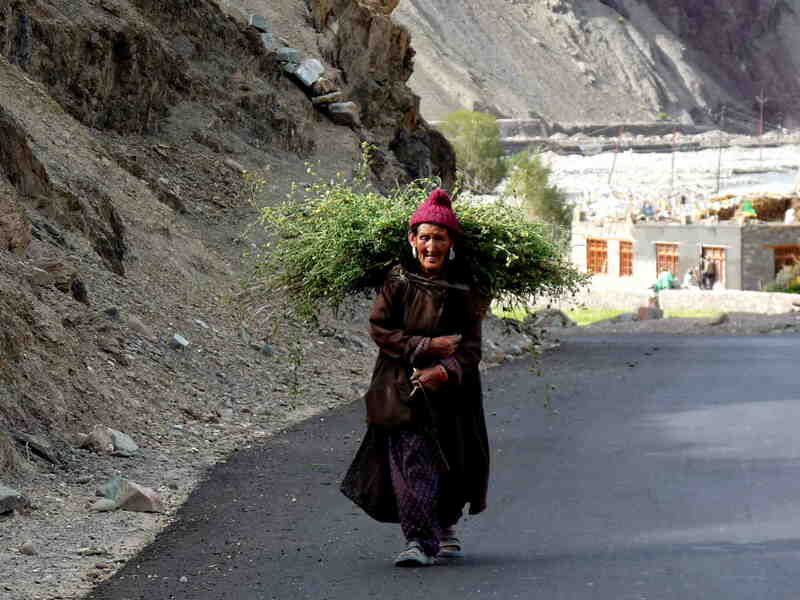 En su día tuvo una gran importancia como punto de comercio entre pueblos pero en los últimos años la guerra con China en los años 50 y con Pakistán ha hecho que quede incomunicada hacia el norte y el oeste (hacia el este las propias montañas se encargan de aislarla). Por tanto, a día de hoy ha dejado su antigua importancia comercial para convertirse en lugar puramente turístico, utilizándose como campo base para muchas excursiones en valles y montañas del Himalaya hindú. La principal vía de abastecimiento de la ciudad parte de Srinagar, al noroeste de la India. 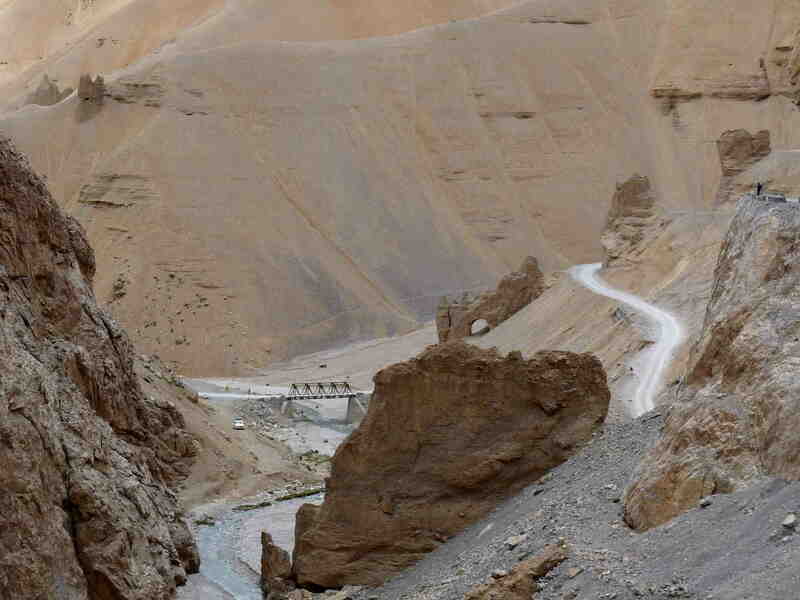 Al complicarse la situación con Pakistán esta ruta se convirtió en peligrosa ya que pasa muy cerca de la frontera pakistaní y en los años 70 decidieron construir la “autopista Manali-Leh” para comunicarla desde el sur. 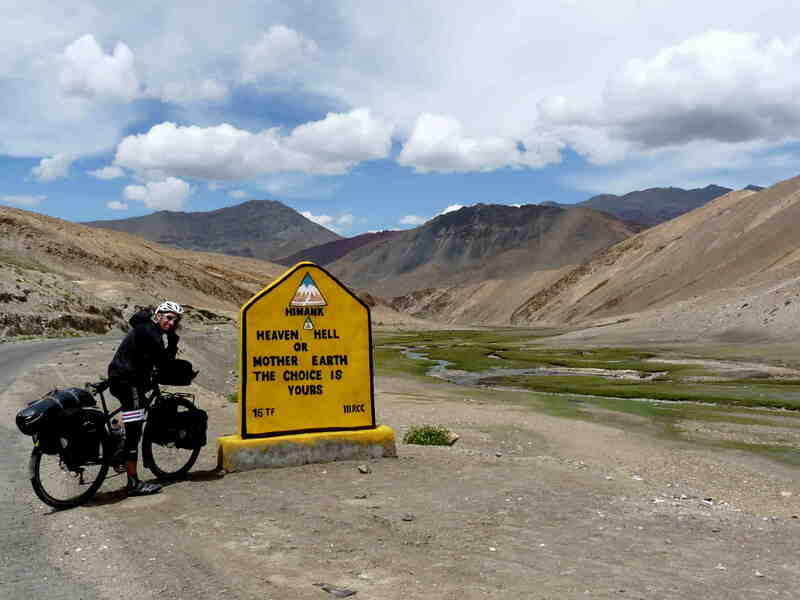 The Manali-Leh Highway is without a doubt an epic road for everybody, from the cyclist to the motorcyclist, from the weekend tourist to the hardened hiker. 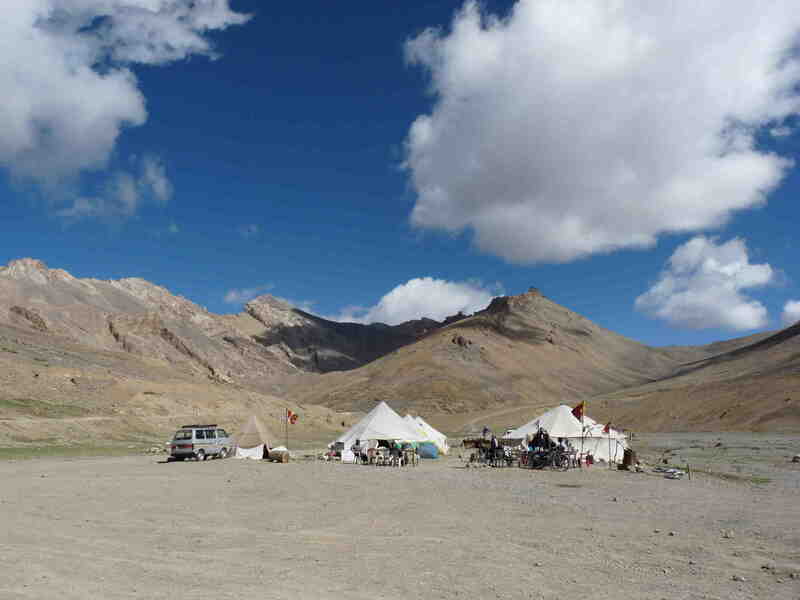 Many of the highest mountain passes of the world are here, and the landscape is stunning and ever-changing. 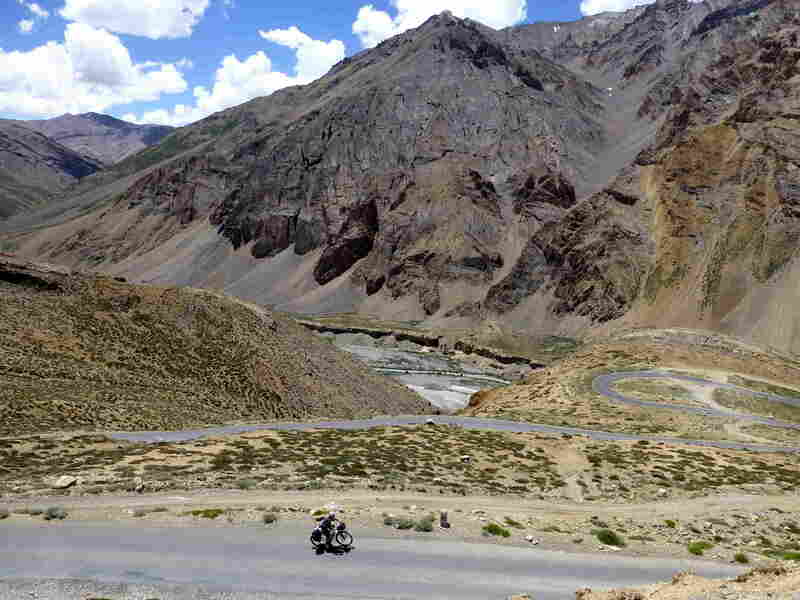 The road changes from the lush, green valley of Manali to the dry, stark, purple and red landscape of Ladakh. 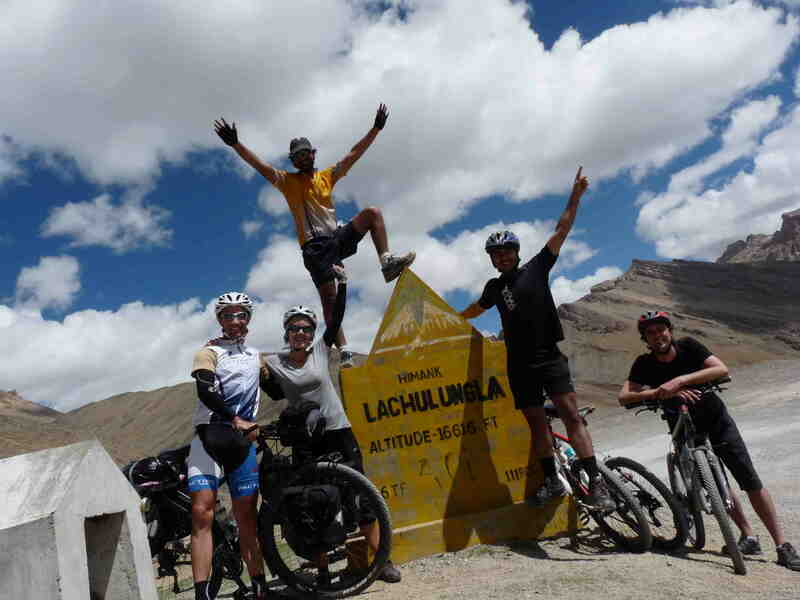 The Morei Plains were a real treat – 26km of flat to downhill riding on perfect pavement with stunning views. 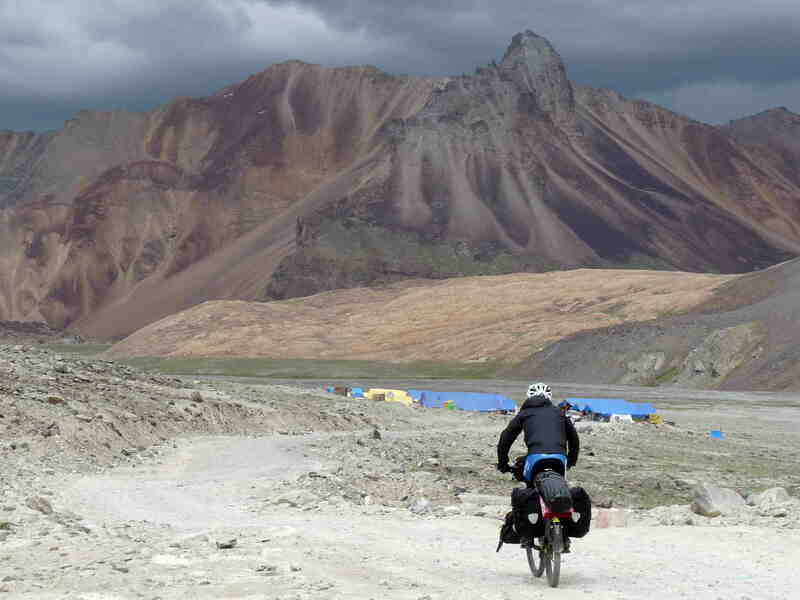 The descent to Pang looks like a scene from the Road Runner cartoon, although the road is a very rough dirt road. 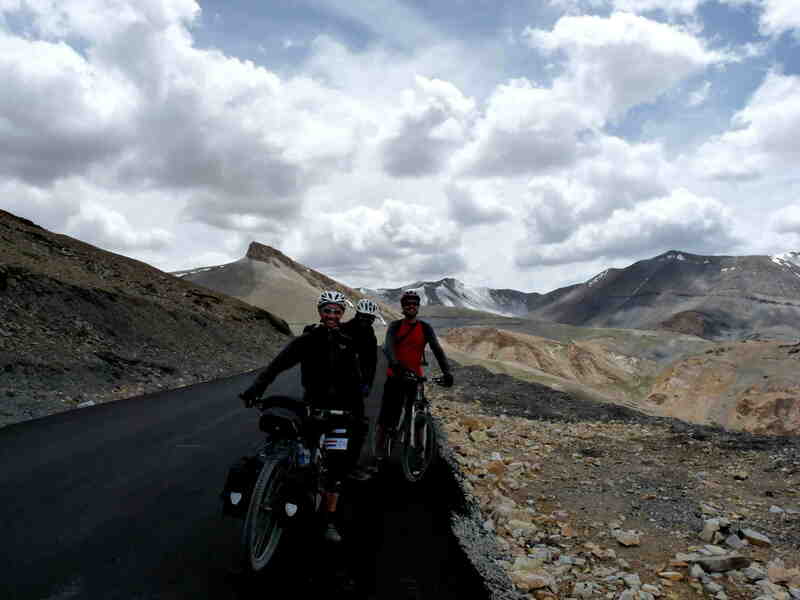 If the Manali-Leh Highway is tough on a bike, the automobile or bus is surely a slice of pain and suffering on earth. The passing buses were filled with grim-looking human cargo, ashen faces, in search, no doubt, of some sort of relief. 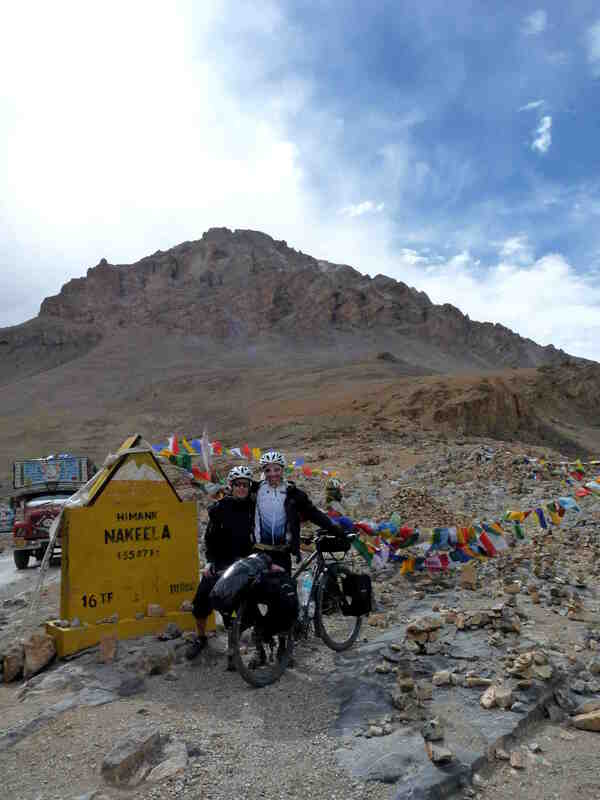 Despite many moments of relative discomfort ourselves, we were always glad that it wasn´t us in the vehicles. 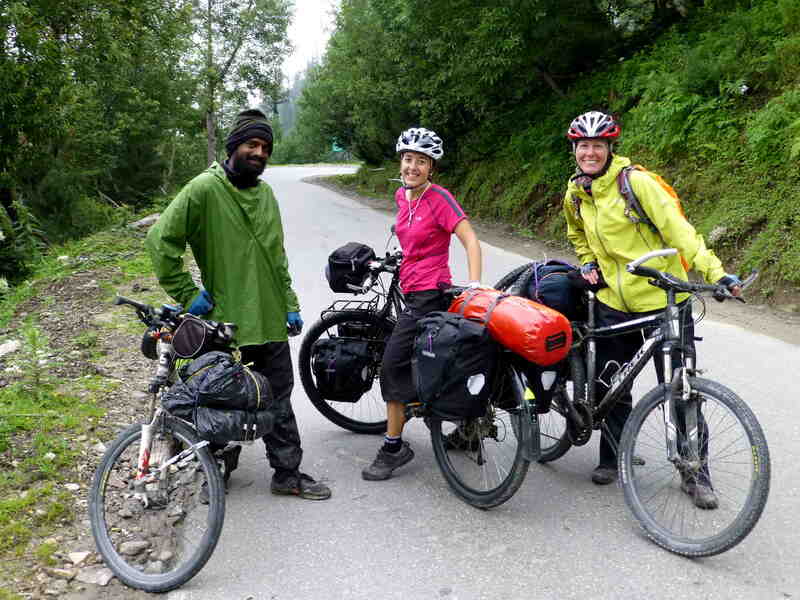 Of all the ways to travel the road, if you are up for cycling, it is likely the most pleasant and rewarding of all ways to undertake such a journey. 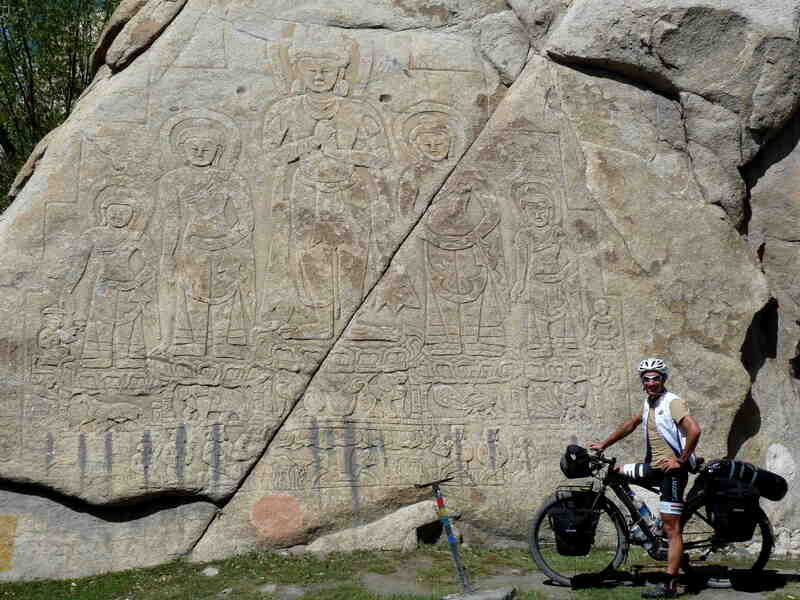 La ruta resulta sin duda épica para todo el mundo, desde el ciclista al motociclista, desde el turista de fin de semana al montañero. Muchos de los pasos de montaña más altos del mundo están aquí, el paisaje es espectacular y muy cambiante. La carretera cambia del verde perenne del valle de Manali al paisaje seco, duro, morado y rojo de Ladakh. Los llanos de Morei fueron impresionantes- 26 km de llano-bajada en asfalto perfecto y con vistas sorprendentes. La bajada a Pang parece una escena sacada de los dibujos del correcaminos, aunque la carretera es bastante dura. 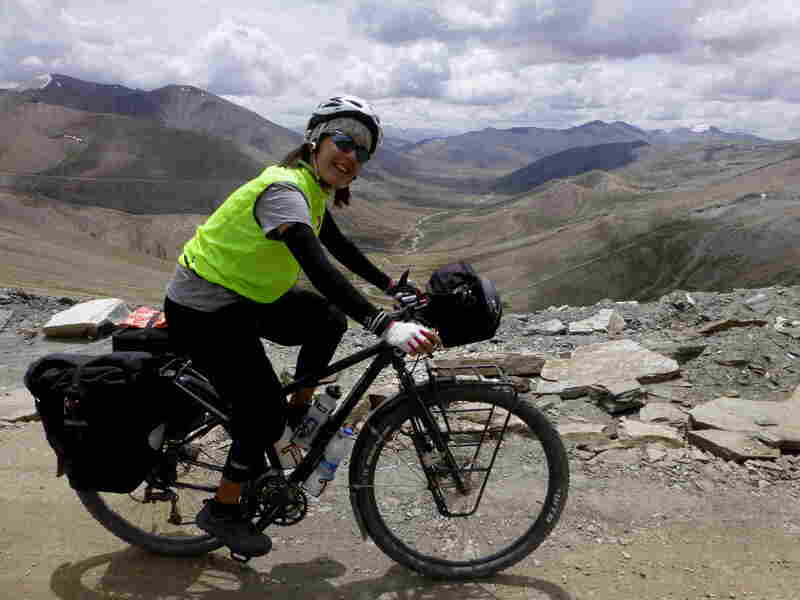 Si la carretera Manali- Leh es dura en bici, en coche o bus tiene que ser uno de los mayores sufrimientos en esta tierra! Los buses que pasaban estaban llenos de caras amargas en búsqueda de algún alivio. A pesar de momentos de una incomodidad relativa siempre estuvimos contentos de no estar en en esos vehículos. De todas las maneras de recorrer esa carretera hacerlo pedaleando es seguramente la más placentera y la que ofrece una mayor recompensa. 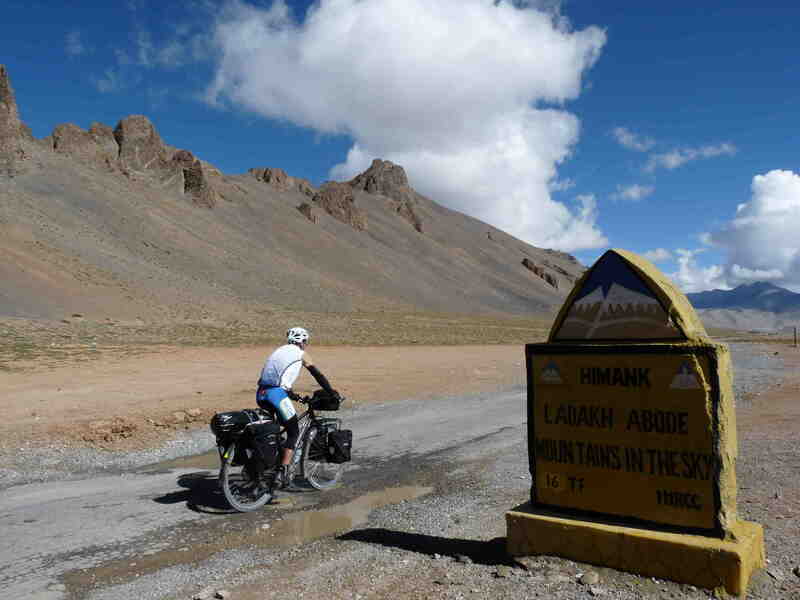 The Manali-Leh Highway turned out, however, to be more of a challenge than we thought. 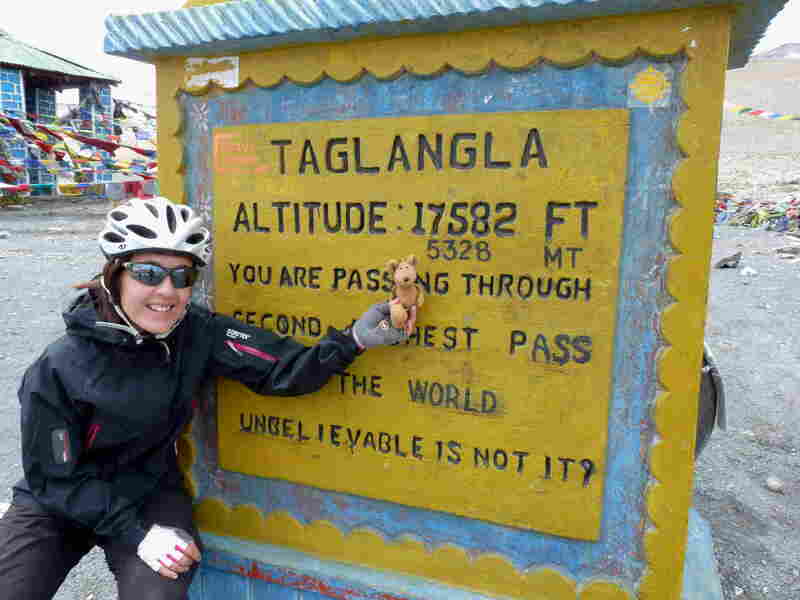 Even for the trained cyclist, 5000m passes with a loaded touring bike, stomach issues and a headache is not light work. 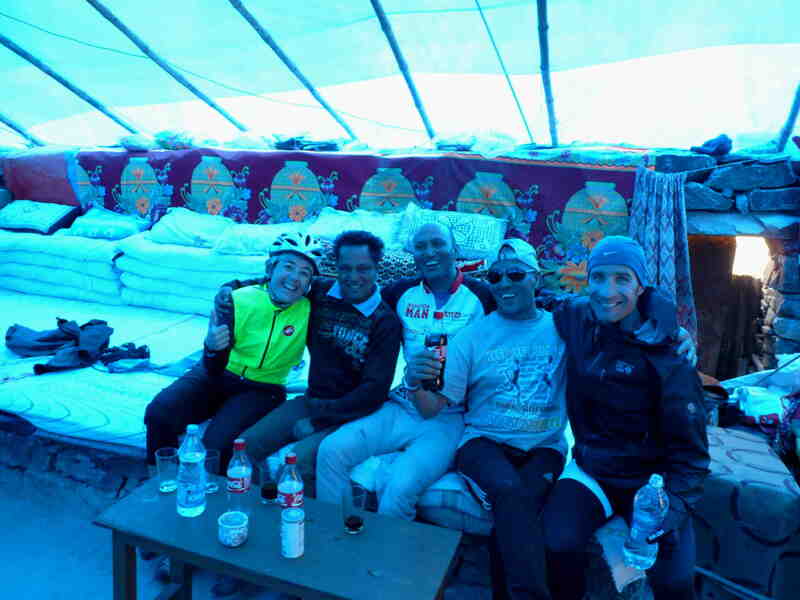 There are many stretches where you have to plan your food and water stops accordingly and make sure to arrive in a town with ample time to find a bed and make sure you are not sleeping too high, lest the altitude get the better of you. 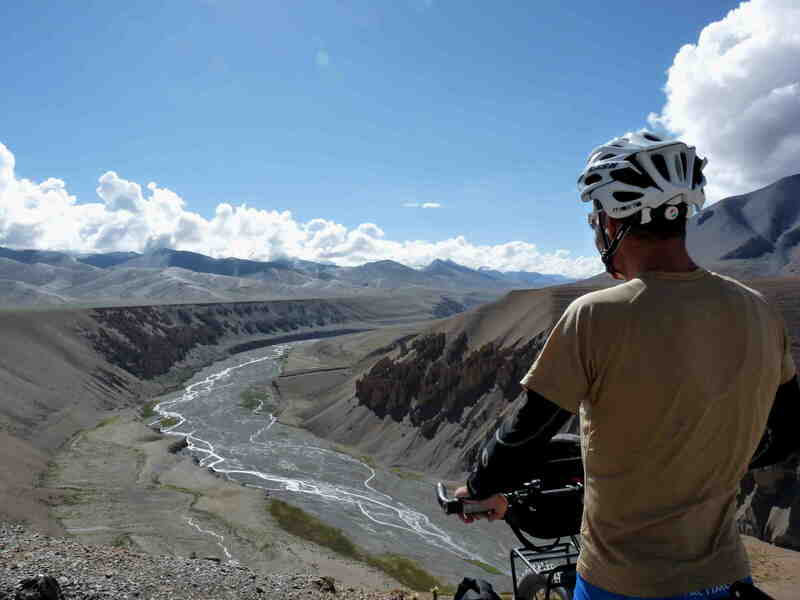 It is not a bicycle trip for the faint-hearted, but not impossible, either. 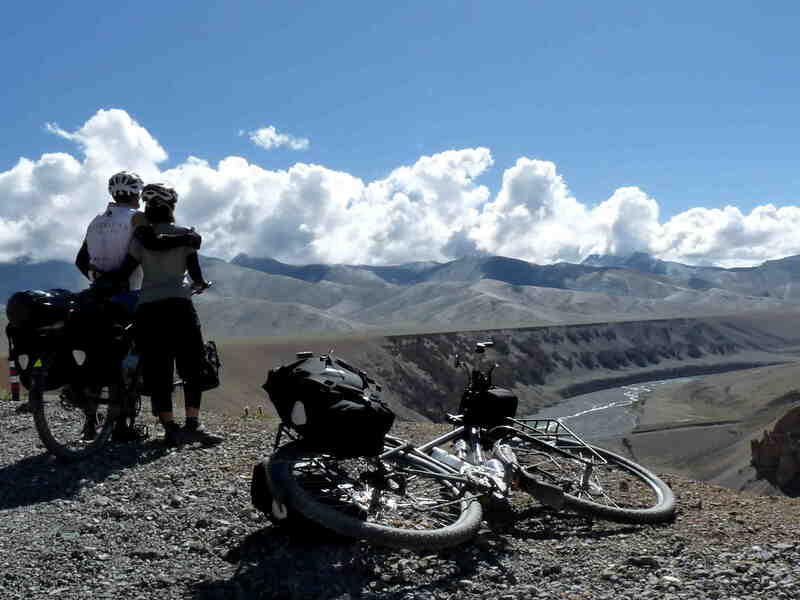 With time, some bicycle know-how and a willing spirit, the mountain passes become not obstacles to overcome, but roads to exquisite landscapes than are best savoured after a long bike ride. De todas maneras, la carretera se convirtió en un reto mayor de lo que creíamos. Incluso estando entrenados, los pasos de 5000 m con las bicis cargadas, desavenencias estomacales y dolor de cabeza no fueron tarea fácil. Hay muchos tramos en los que hay que planear los stocks de comida y agua, asegurarse de llegar a un pueblo con suficiente margen de tiempo para encontrar una cama y de no dormir a demasiada altitud, cuanto menos mejor. No es una ruta para los miedosos pero tampoco es imposible. Con tiempo, algo de experiencia en la bici y ganas, los pasos de montaña pasan a ser paisajes exquisitos que disfrutar, sobretodo después de un largo día en la bici.